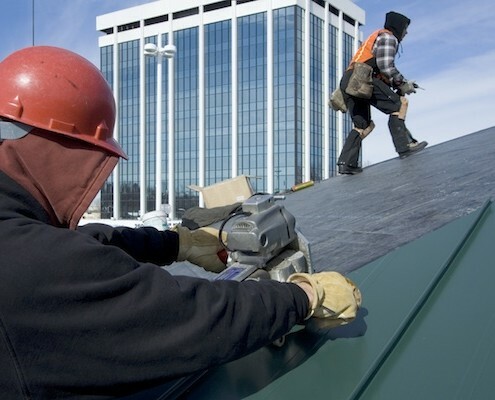 You have many roofing options when it comes to your commercial property. Knowing which one is right for you becomes much less challenging when you join the thousands who have turned to Langer Roofing. With a fully equipped metal shop, your Langer custom designed metal roof will add years of protection to your facility. 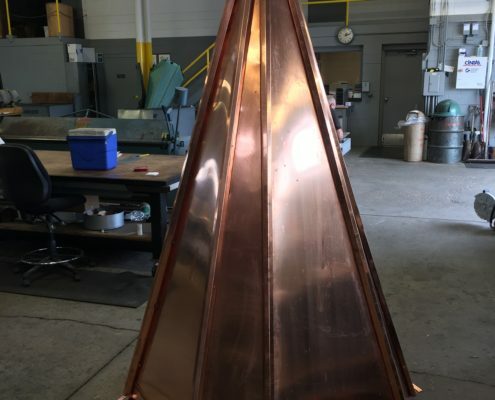 Offering a wide variety of options such as steel, aluminum, copper, and galvanized metals, we’ll work with you to establish the most cost effective metal roof solution. 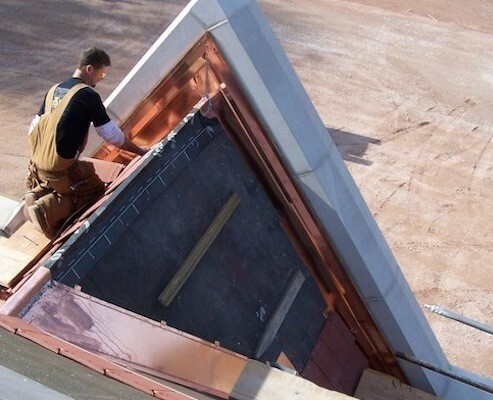 Durability and longevity are just a couple of the benefits you’ll reap with a sheet metal roof. 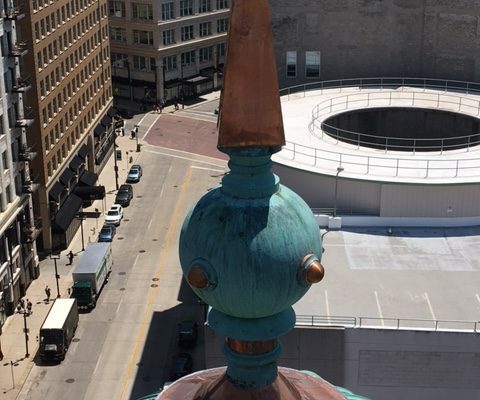 As one of the very few dedicated commercial roofers in southeastern Wisconsin, Langer has a completely staffed and equipped Sheet Metal production department. 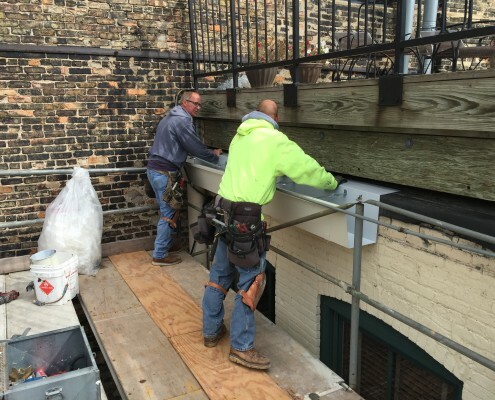 With specialized experience in custom sheet metal fabrication and installation, you simply won’t find a better option for your sheet metal roof system than Langer Roofing. 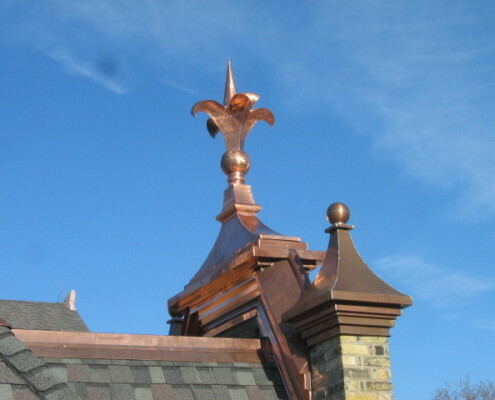 Our experienced tradesmen will work with you to manage everything from copings, fascia, gutters, and downspouts for your unique roof surface. Furthermore, if your project requires more intricate metal paneling and cladding, LANGER HAS YOU COVERED.